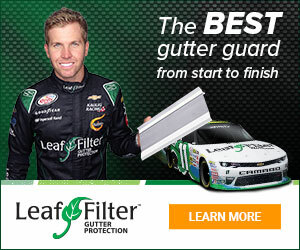 Oct 21, 2016 Hi Jim- We are pleased to have found an amicable solution to your concerns and know you will be satisfied with your LeafFilter gutter guard system! I am not sure if the "Leaf Filter" product is good or bad. They told me they had 120,000 happy customers. Unfortunately, I am not one of them. I am not posting a bad review because this is a hobby. I am posting because this has been a very bad experience and I would hate that you or someone you know would have to experience that we went through. And we still have NO gutters. Just read my story and think about it. Is this what you want to possibly experience? Then go for it. On September 10, 2016 Leaf Filter sales rep Zack W. arrives to introduce us to the product. We like what he is showing us and it looks like a quality built in the USA product. Zack writes an agreement with a approx. start & completion date of September 27, 2016. The dollar amounts were agreed upon and we were excited and ready. The 27th arrives and we wait and wait. We finally call them to get info on their eta. They are not coming today, per the installation manager Jason, because a piece of equipment broke. We agreed that the next day, 28th, was ok. Wednesday arrives and so does Leaf Filter installers. I speak with the installers come to find out they were in Portland and knew nothing of the augers issues, mmmm Jason. It looks like all is going good now. But wait....they show up with less than 60 feet of material. They have nothing to work with. I read their work order and it said we had 150' of existing gutter. That was baffling, why would we be paying to have gutters installed if we all ready had them. Oh well the installers were very nice and were extremely embarrassed by the situation. So, once again we reschedule this time for October 3 and again we have to contact the office to locate the crew. They are not coming, all of their trucks are broken down. The entire fleet must be two trucks. Now we have to reschedule for October 19th. We thought this would give them time to make repaired to the fleet and get our material gathered. Finally it is the 19th and they set a time of 8-9 a.m. which we agreed. We wait and wait. Noon rolls around a we call. Guess what? Their trucks broke down and they would need to reschedule. NO YOU WILL NOT! That was four days of vacation wasted. Review #939606 is a subjective opinion of User939606.